Officer Barrineau joined the Charlotte-Mecklenburg Police Dept. in August of 1992. 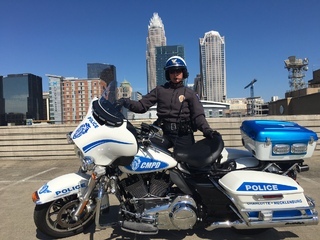 After completing the Basic Police Motor Operator's School in 2009, she was assigned to the Charlotte-Mecklenburg Police Motor Unit. Officer Barrineau completed a 3 week Motorcycle Instructor Training through Northwestern University in 2012.